Henry’s, who also balanced above the Grand Canyon and alps, was 82. 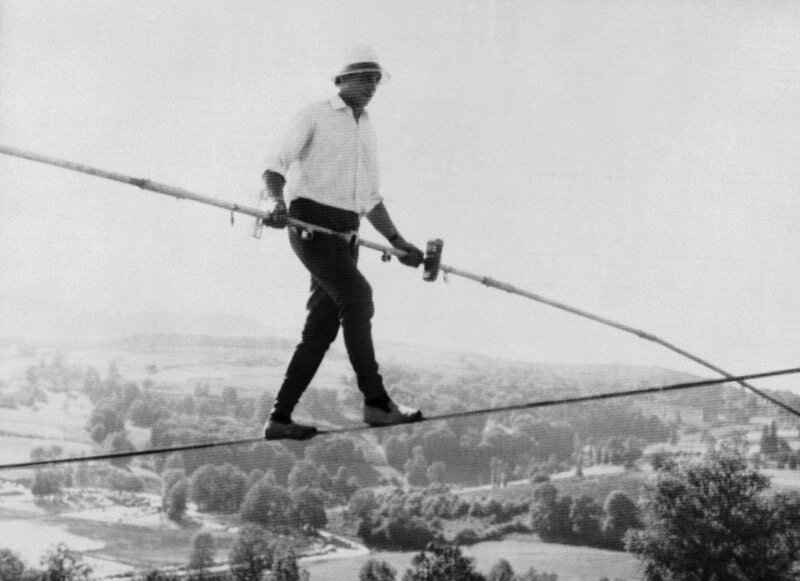 PARIS — The celebrated French tightrope walker and chair-balancer known as Henry’s, who balanced high above the Alps, Niagara Falls and for months over a supermarket in his hometown, has died. Maurice Vincent, a senator and the mayor of Saint-Etienne, said in a statement that Henry’s died Friday. Henry’s, whose real name was Henri Rechatin, once walked along the cable that carries cable cars to the summit of the Aiguille du Midi in the Alps. Vincent said Henry’s once balanced above the Grand Canyon and that such international stunts helped promote Saint-Etienne around the world. At Niagara Falls in 1975, he balanced on a platform attached to a motorcycle that his friend rode across the cable over the Whirlpool Rapids, all while Rechatin’s wife hung from a pole he carried on his shoulders, according to the Niagara Falls Public Library. One such stunt was in 1996 on the edge of the roof of Moscow’s Rossiya Hotel, 144 feet up. But Rechatin is perhaps most famous in France for spending six months in 1973 on a cable 66 feet above a supermarket in Saint-Etienne. Photos from the stunt show that while he often walked along the wire, he could also sit on a small platform balanced on the cable. In one photo, he is sitting down to shave.